As the weather warms up we need to be aware of seasonal hazards that may put our dogs at risk. 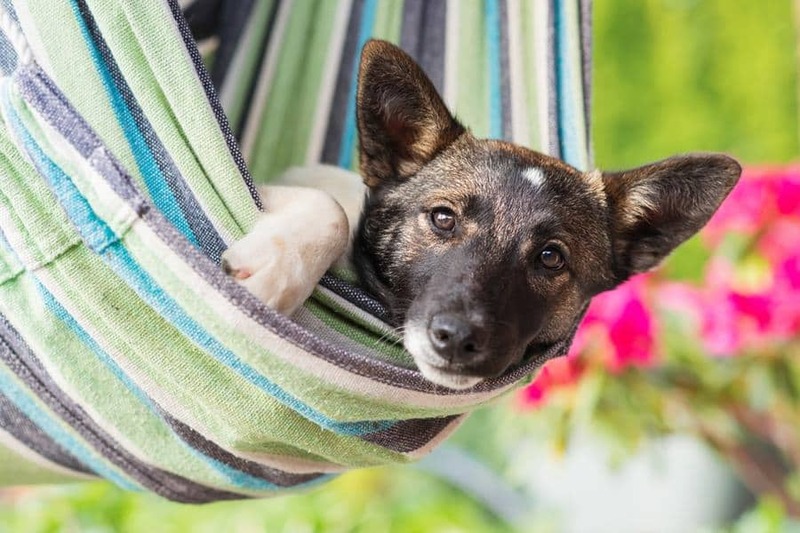 While we all like to enjoy the warm weather with our furriest friends, there are a few things we can do to minimize risks to our dogs. 1. Enroll in a pet first-aid course and purchase a good pet first aid kit and have it handy in your vehicle and at home. 2. Ensure your dog is properly identified. Tags, microchips and tattoos increase the odds that your dog will be returned to you should he go missing. 3. When traveling with your dog, use either a crash-tested seatbelt harness or a secured crate because, inside your vehicle, unrestrained dogs can be a hazard to themselves and to others. 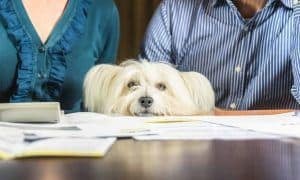 If you are injured in an accident, emergency personnel may be delayed in assisting you if a loose adult dog is guarding you and your vehicle. A frightened dog may bolt from the scene. If you use a crate, attach an information sheet about your pet and include vet and alternate care-giver information in the event you cannot care for your dog. Teach your dog to remain in the vehicle until given a cue word to exit (even once their seatbelt harness is undone). 4. Dogs should never be transported in the bed of a truck without using a secured crate. Even restrained in the back of a truck with a leash, dogs can be hanged. They are also exposed to the elements risking hypothermia, heatstroke, eye and ear injury and they have no protection in case of an accident. 5. 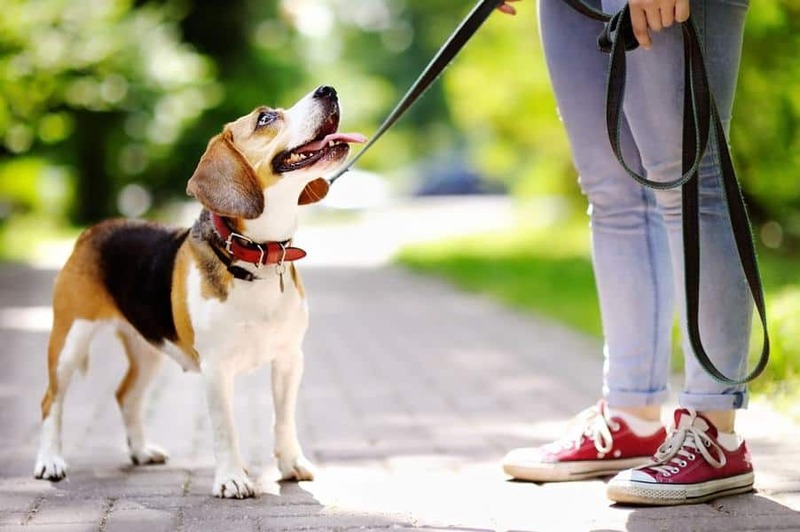 When outdoors with your dog keep him safely leashed until you know the area is safe for dogs and that your dog is well trained. Be vigilant for unexpected risks like unmarked cliffs. 6. Wildlife can also pose a threat to dogs (and dogs to wildlife) so be prepared to avoid interactions especially if the wildlife have offspring to protect. In our area, the forest is inhabited by cougars, bear, coyotes and raccoons any of which can seriously injure or kill a dog. 7. Heat exhaustion can quickly affect dogs so exercise caution when hiking with your dog in warm weather. Every year dogs taken hiking on hot days succumb to heatstroke. 8. 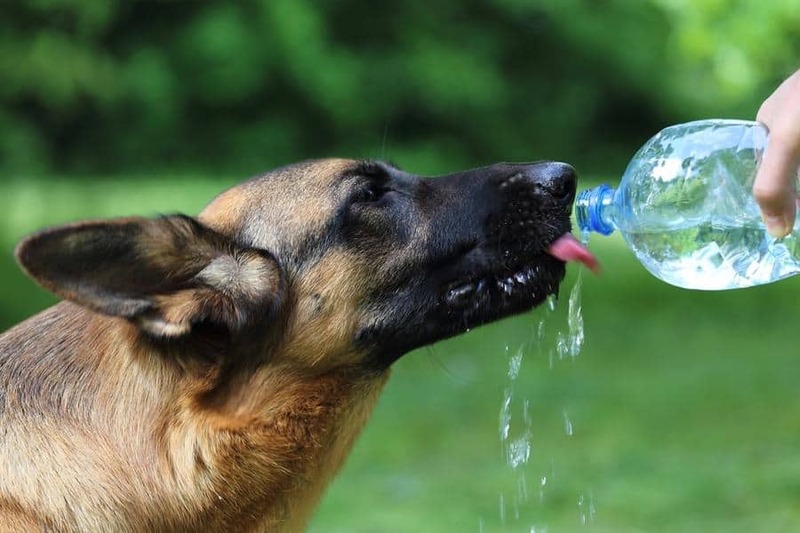 Ensure you have lots of water for the dog and that the hike is not too strenuous for the dog. Monitor play. One dog only survived after intensive veterinary intervention when he played outdoors mid-morning and got heatstroke. 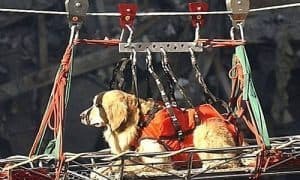 The outside temperature was reported to be 29 degrees Celsius mid-morning and his core body temperature at the vet hospital was measured at 42 degrees Celsius (normal body temperature is 38.5 degrees). 9. Symptoms of heat stroke include skin that is hot to the touch, increased panting and salivation. This can progress to vomiting, diarrhea, loss of coordination, collapse, and unconsciousness. 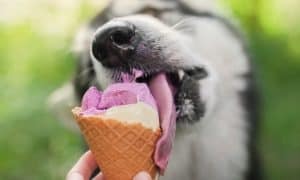 Heatstroke is an emergency and the dog needs to be removed from the heat and requires immediate veterinary attention because this condition can result in multi-organ failure. 10. 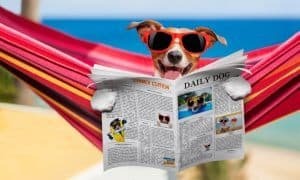 To avoid heat stroke, only exercise dogs in early morning and late evening when it is cool. 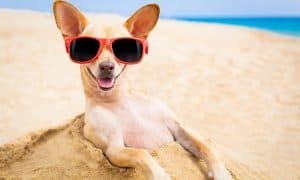 Make sure the dog always has access to shade and drinking water and that he is not confined to an asphalt or concrete surface. 11. Avoid using muzzles that inhibit the ability of the dog to pant. 12. Familiarize yourself with local risks like certain species of native plants, insects like fire ants and certain spiders and parasites so you can ensure your dog avoids them. 13. Standing water can harbor infectious agents. There are many diseases dogs can acquire from standing water and some are transmissible to humans. 14. 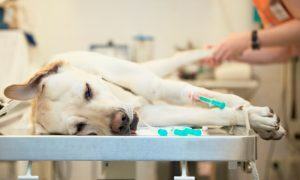 Sometimes a dog ingests too much water and the water dilutes bodily fluids. The result is a relatively rare condition called “Water Toxemia”. In this condition the sodium levels are diluted to dangerously low levels and is often fatal. 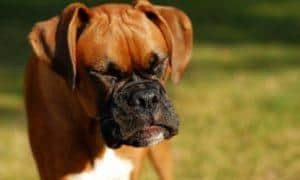 Dogs can ingest too much water when retrieving balls in water, or when they have been exercising and consume a great amount of water after exercise. The first symptoms of water toxicity include but aren’t limited to the loss of coordination, lethargy, nausea, bloating, vomiting, glazed eyes, light gum color, and excessive salivation. 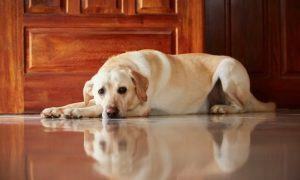 Dogs who show symptoms of water toxicity need to see a veterinarian immediately. 15. Every year warnings go out about the dangers of leaving a dog in a hot vehicle and, sadly, dogs still die in vehicles. 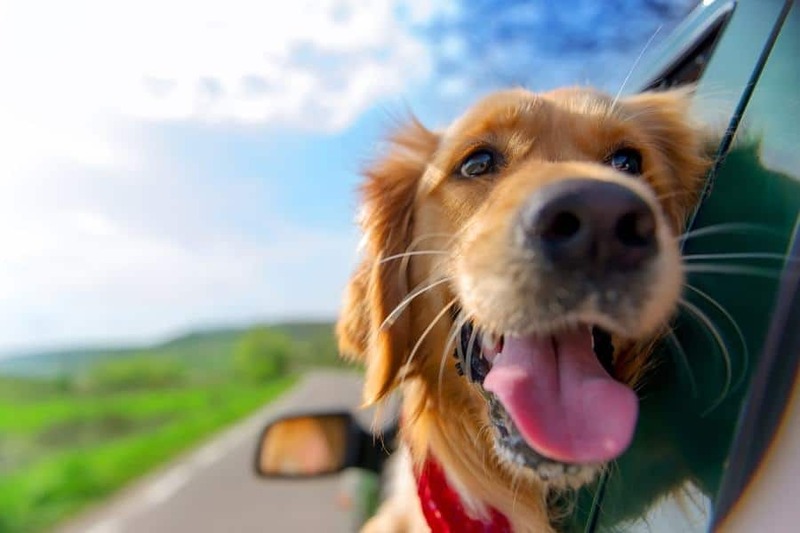 A car stopped in hot weather can quickly magnify outside temperatures making it a deathtrap for dogs who have few sweat glands and must pant to cool down. Studies indicate that, even with relatively cool ambient temperatures, the rise in temperature inside vehicles is significant on clear, sunny days and rises most within the first 15 to 30 minutes. Leaving the windows opened slightly does not significantly slow the heating process or decrease the maximum temperature inside. 16. In hot weather, pavement can get very hot. The pads of the dog’s feet can burn and blister on hot pavement. Additionally, dogs are close to the ground and they can get much hotter than we do so keep away from pavement. There are lots of fun outdoor things to do with your dog but please keep your dog safe while enjoying yourselves. 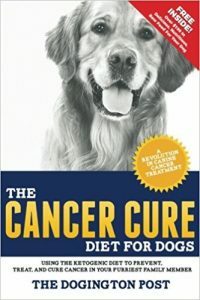 Jane Bowers has been training dogs for over two decades. She has a degree in psychology and is certified as a dog trainer through the Certification Council of Professional Pet Dog Trainers and as a behavior consultant through the International Association of Behavior Consultants and the Association of Animal Behavior Professionals. 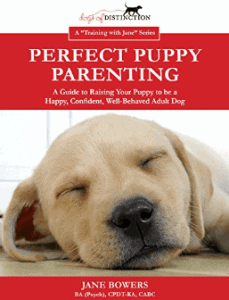 Jane is the author of “Perfect Puppy Parenting”, a manual on how to raise your new puppy to be the best adult dog they can be, and has worked extensively to develop an in-depth course to train law enforcement, first responders, and emergency and security personnel in unknown dog encounters. Visit www.DogsofDistinction.com for more tips and expert advice and follow on Facebook, right here.